Dogs are amazingly resilient creatures. They can endure circumstances most humans couldn't even fathom. There are countless stories of dogs who have overcome unimaginable abuse and neglect. 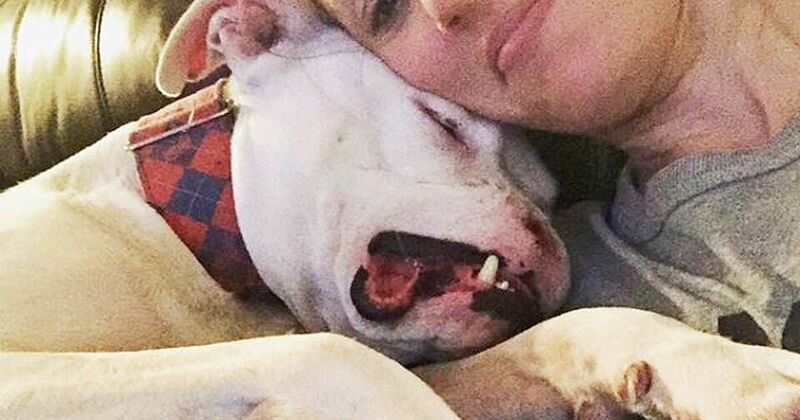 The story of a stray pit bull found in Houston, Texas with half his face missing is one of those. When Brittany Faske, a volunteer for All Dogs Official Rescue Enterprise of Houston (ADORE), received a call about an injured pit bull in a construction dump site, she was not ready for what she was about to see. The dog, who was later named Apollo, was sitting in old, dirty trash and discarded tires. He was so emaciated his bones were visible through his body. But the worst part was his face. Apollo was missing the majority of his mouth and nose – bits of his snout were even hanging off – and it was already infected, giving off a rotten smell. Apollo was in such bad shape he could barely move when Faske tried to get close and rescue him. Despite his bad state, he growled at Faske when he felt she got too close – likely because he was in so much pain and extremely scared. Faske thought Apollo wasn’t going to make it and hoped she could at least provide him with an honorable ending. When she was finally able to get close enough to see Apollo’s injury, she noticed it looked like a clean cut – like someone had taken a knife and cut off the front of his face. (BarkPost). Faske was eventually able to rescue Apollo. Once in her car, Apollo actually relaxed and even fell asleep. It’s as if he knew he was finally safe. But the real surprise? Once Apollo arrived at the vet, he starting sniffing out dogs, being curious, and generally acting as if half of his face wasn’t missing. In addition to his physical injuries, Apollo was also heartworm positive – making his chances for survival slim. But Apollo wasn’t about to let that happen. Apollo ate bowls of food and drank water – a good sign he was going to actually pull through. They knew then that Apollo was a special dog. Apollo received constructive surgery for his nose as well as a skin graft and removal of his upper jaw and a few teeth. Even though he had no nose, Apollo was able to breath out of his nasal cavity. Faske fostered Apollo through his recovery. 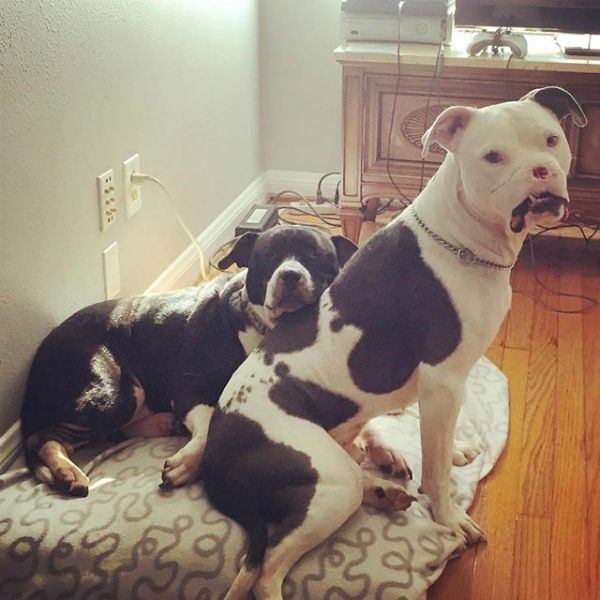 She didn’t plan on adopting Apollo but after watching him capture the hearts of her two senior (and grumpy) dogs, she knew she couldn’t give him up. Apollo attends training classes every Saturday to help him with his confidence – he even looks forward to them! Faske told BarkPost that he seems to “know when it’s Saturday because he’s waiting patiently for me by the door… And he can’t wait to go for a car ride.” (BarkPost). And, Apollo is now the official poster dog and mascot for ADORE! He’s helping to bring awareness to animal cruelty as well as help the fight against animal abuse. In spite of Apollo’s horrific past, Apollo remains a cheerful, optimistic pup. He is showing the world that even when an animal suffers unimaginable abuse, they can rise above it and be the voice for other abused animals. Apollo will now spend his days with his two dog friends, his amazing humans, and all the love he deserves.